Becoming a founder in some industry is relatively easy. It might just cost as little as time, a place to work, internet access, a decent laptop, living funds, support, etc. And chances are some of you became founders due to circumstances or because you hated working for someone else or you just simply saw an opportunity. Whatever the story is, being a part of a great intimate community of founders can definitely help you grow. What I’m trying to say is we founders do come in different shapes and sizes. Some of us are immigrants and some of us are local natives. Some us are taking on opportunities as complex as rocket science and others it’s simply monetizing a puzzle game app. But what I have come to realize, and I’m sure many of you have reached that conclusion as well, is that the environment you are in can make or break your founders dreams. For example, Elon Musk might have been brilliant but I doubt he could have achieved so much if he tried it in Canada or South Africa. His dreams were possible because United States had laid a foundation of encouraging entrepreneurship and risk-taking. And it doesn’t hurt to be immersed in top entrepreneur communities in top schools or top regions. Now many countries are desperately trying to replicate the entrepreneurial culture of the United States but what might be unteachable are: toughness, big thinking, confidence and brass balls. And many other things but the point is without the right environment and networks, it can be very challenging. Ultimately what founders need is like DNA cloning. They need a way to soak up everything the great founders have so they can modify themselves to increase the probability of eventually achieving larger-than-life visions. Speaking for us, Founders Under 40™ Group, we currently aspire to that level of global unity of founders. 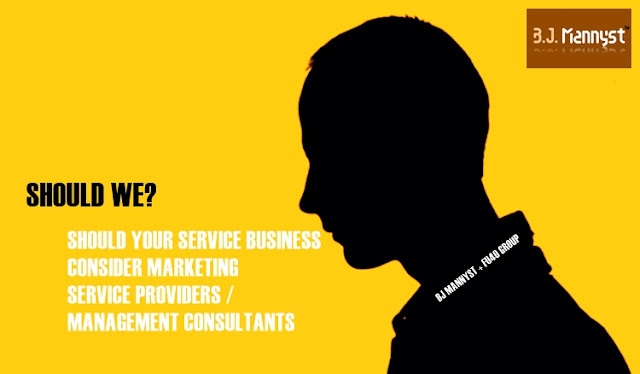 We currently have a general membership which is meant for general prospects. And so far it is made up of 30,000+ (early stage founders, serial founders, past founders, business service professionals, etc) around the world. 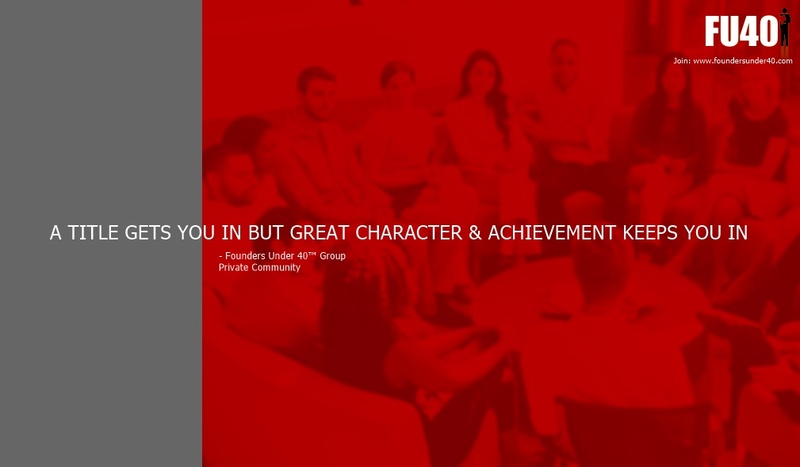 The Founders Under 40™ Group general membership community is very limited for founders because members aren’t provided the personal attention, support, freedom or matchmaking service that our Private Community founders receive. 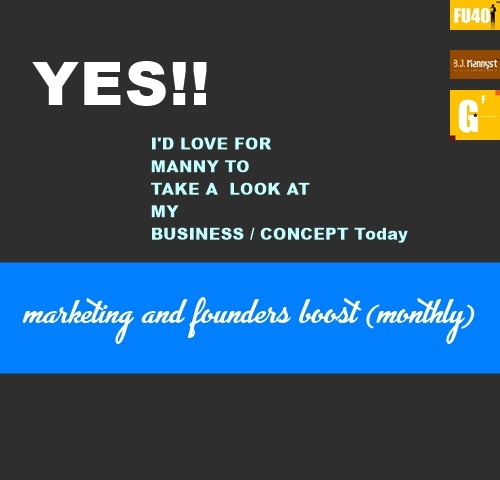 For example, in our Founders Under 40™ Group Private Community, we know our founders names, their businesses, their industry, their objectives, their challenges, their performance, their background, etc therefore we are going to do everything in our power to provide resources to assist them. They could pickup better habits that can help them grow from a thousand revenue to a million revenue business. We are really trying to learn from the Mark Zuckerberg, Garrett Camp, Brian Chesky, Jessica Alba, Palmer Luckey, Oprah Winfrey, Jay Z, etc of the world so we can help improve lives. 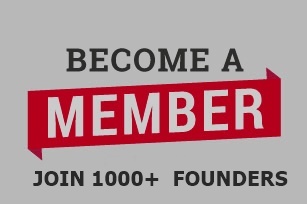 We want all you great builders, developers, creators, social innovation,hackers, hustlers, etc to join our Private Community. We’ll help each other grow and at the same time help eradicate problems like inequality. Join us and help us continue to create an unforgettable community experience for Founders Under 40™ Group members.